Looks awesome, can’t wait for the translation! Can’t wait for the translation. Aww man can’t wait for the translation! Translations done, not long for the upload! 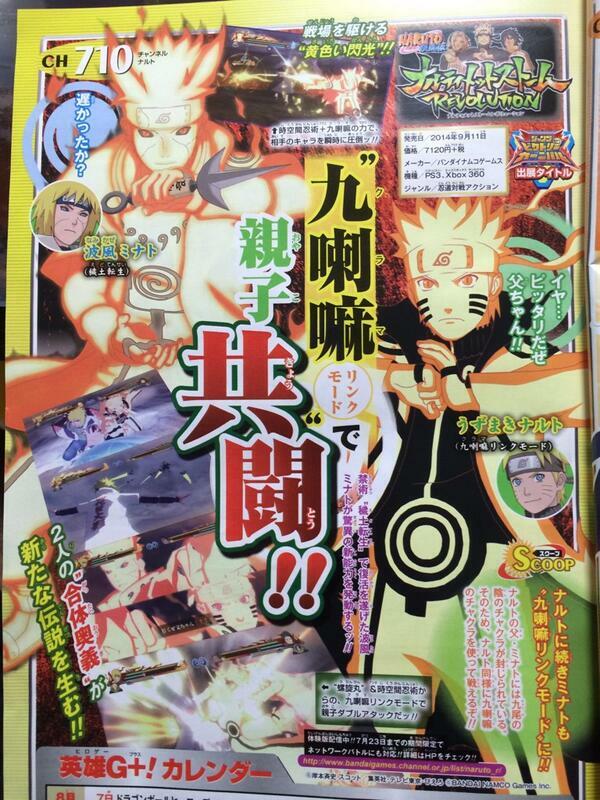 Minato’s art looks better than Naruto’s…. That was confirmed ages who via boxart. Nice to see him in action. Guess it’s his awakening from the looks of the scan. Lol guys why do you wiat for the translations? They usually say stupid stuff such as “I the 4th hokage, will protect my son” or “the almighty duo of son and father” or even “with his new mode Minato and his son have a unique ultimate”.